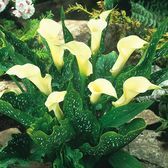 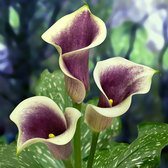 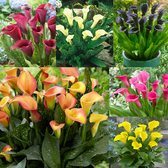 Zantedeschia, fondly referred to as the Calla Lily, truly are one of the most exotic and sought after summer flowering bulbs we have in our range. 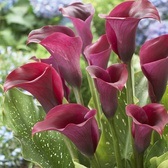 Producing funnel-shaped flower heads they are very useful for the border or flower-bed where they look amazing. 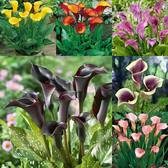 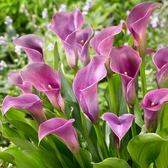 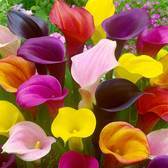 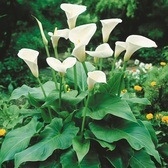 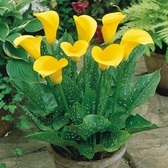 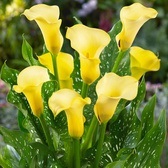 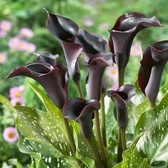 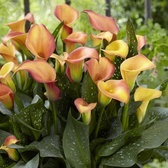 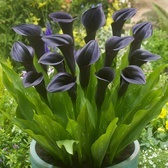 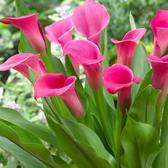 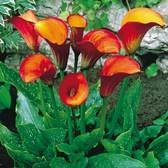 Calla Lilies are supplied as top quality tubers.